Abdallah Muhammad Ibn Jabir Ibn Sinan al-Battani al-Harrani was born around 858 C.E. in Harran. Battani was first educated by his father Jabir Ibn San’an al-Battani, who also was a well-known scientist. He then moved to Raqqa, situated on the bank of the Euphrates, where he received an advanced education and later on flourished as a scholar. At the beginning of the 9th century, he migrated to Samarra, where he worked till the end of his life. His family had been members of the Sabian sect, a religious sect of star worshippers from Harran. Being worshipers of the stars meant that the Sabians had a strong motivation for the study of astronomy. Al-Battani, unlike Thabit, another mathematician from his home town, was not a believer in the Sabian religion. His name “Abu Abdallah Mohammad” indicates that he was certainly a Muslim. 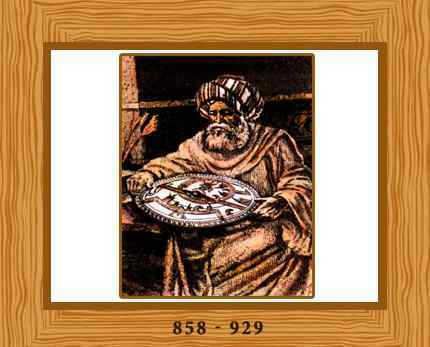 The Fihrist, who wrote a tenth-century survey of Muslim culture, describes al-Battani as one of the most famous observers and a leader in geometry, theoretical and practical astronomy, and astrology. He composed work on astronomy, with tables, containing his own observations of the sun and moon and a more accurate description of their motions than that given in Ptolemy’s “Almagest”. Historians all agree that Al-Battani passed away in 317 H. /929 A.D., near the city of Moussul in Iraq. He was regarded as one of the most famous Arab astronomers. He dedicated all his life until his death to the observation of planets and stars.